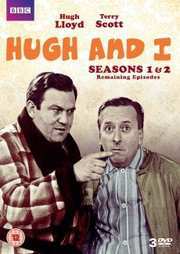 Hugh and I is a black-and-white British sitcom that aired from 1962 to 1967. It starred Terry Scott and Hugh Lloyd as two friends who shared lodgings with Terry's mother and was followed by a sequel called Hugh and I Spy. Previously, the two male actors had worked together on stage for many years. Only 24 episodes are thought to survive. Hugh and I was written by John T. Chapman with additional material from John Junkin. Music was by Wally Stott. 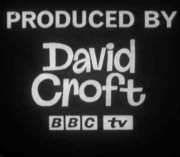 The first five series were produced by David Croft with the remainder produced by Duncan Wood. Young bachelor, Terry Scott lives with his mother at 33 Lobelia Avenue in Tooting. He passes his days dreaming of easy wealth - no hard work required. Simpleton, Hugh Lloyd is Terry's lodger. When he's not hard at work at the local aircraft factory, he while away his free time getting haplessly roped into Hugh's get-rich-quick schemes. Relive the magic of this electric comedy pairing with all the surviving episodes from Series One and Two.